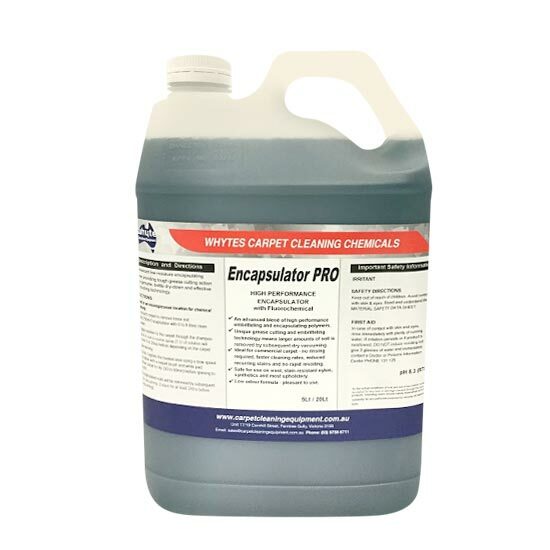 Encapsulation is an innovative cleaning technique designed to produce a deep and thorough clean. There are a lot of encapsulation carpet cleaning products on the market, and it can be hard to know which ones are genuine. Thankfully, Whyte Specialised Equipment has formulated our own brand of encapsulator, which will be the perfect addition to your cleaning routine. 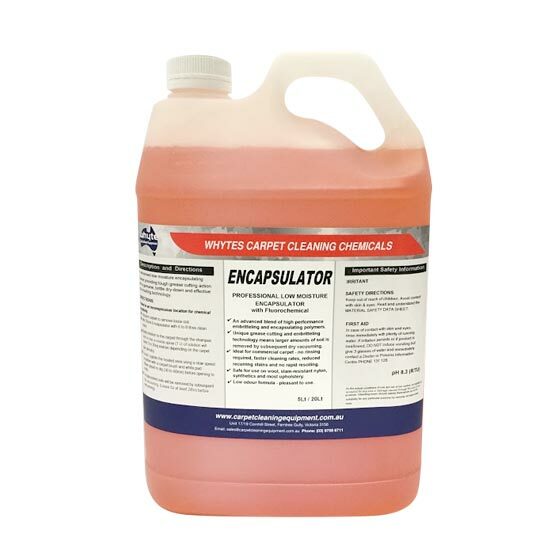 Our encapsulator is an advanced low moisture cleaner designed to provide tough grease cutting action combined with a genuine, brittle dry-down and effective anti-resoiling technology. This outstanding cleaner also includes fluorochemical and good foaming action which assists operators to track their progress. Roughly 75% of dirt in carpets is dry soil, and is easily removed through vacuuming. It’s the other 25% of dirt, oily and sticky soils, which is more difficult to remove. The encapsulation carpet cleaning process works by breaking down the wet soils in the carpet fibre and then surrounding or ‘encapsulating’ it into crystal particles that, when dry, are easily removed with ordinary vacuuming. If you want to try carpet cleaning with encapsulation, expect to see your labour time cut! Your preconditioning dwell time is virtually non-existent. Instead, it works as soon as it is massaged into the fabric! Based in Ferntree Gully, our encapsulation carpet cleaning product to businesses across Melbourne, Canberra, Sydney, Brisbane, Darwin, Perth, Adelaide and Hobart – and across regional Australia.